Blizzard recently acquired the Diablo fansite diablo3.com, now the natural question is “Will Diablo 3 will be coming out anytime soon?” Maybe, but I doubt it, it’s Blizzard we’re talking about here…Starcraft 2 has been in the works for 10 years now…but at least this is a step in the right direction. 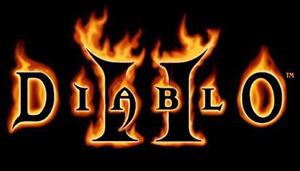 Diablo 2 is still awesome, I played it not too long ago…I really wish World of Warcraft wasn’t such a massive success so that Blizzard wouldn’t be focusing on that over all their other IP’s. Ahoy there, fellow Diablo fans! Well, there’s no point in beating around the bush any longer, so let’s get right down to it. A few months ago we were contacted by Blizzard in regards to the Diablo3.com domain name. While they appreciate all the work that’s been put into running this big Diablo fan community over the years, they still want the domain name. Hmm, I wonder why? Now before you get all up in arms about it, allow me to explain a few things. First off, this fan site isn’t going anywhere, it’s just getting a new name: Diablofans.com! Blizzard is actually being really cool about it, giving us all the time we need to make it a smooth transition before we hand the old domain over to them. So be sure to update all of your bookmarks and point ’em to diablofans.com instead. Your user accounts will all still be perfectly functional and, along with this new site name, we’ll soon have a big site redesign up and running as well. A new name, a new look. Huzzah! Secondly, while Blizzard is indeed acquiring the diablo3.com domain name, they told me that this shouldn’t be considered an announcement for the Diablo 3 game we’ve been waiting for all these years. They acquire new domains all the time. While this is true, I personally can’t help but think that this is a confirmation of sorts that they’re working on the next Diablo game. Sure, they can claim it’s because they want to protect their intellectual properties ‘n what have you, but I can’t imagine they would all of a sudden be so interested in the diablo3.com domain if they weren’t working on a new Diablo 3 game behind the scenes. On a final note, I want to thank all of you guys who’ve made this community so strong over the years. It’s only going to get better around here and I hope you’ll all stick with us. One of the nice things about this whole name-change ordeal is that Blizzard really appreciates the fact that we’re a dedicated fan site and we’ll be working with them much more closely in the future to bring you the latest Diablo game news. It’s funny, I’ve had so many offers over the years from people who wanted to pay a lot o’ cash for the diablo3.com domain name and I wasn’t even willing to consider then. I set out to have a great Diablo fan site because I simply loved the Diablo series. Fortunately, with the help of some great people on the staff and fans like you, we accomplished just that. But when Blizzard came around asking for the domain, I was excited about it both as a Diablo fan and for their recognition of all the work we’ve put into the site. Fortunately for us, the diablofans.com domain name was available and it fit perfectly in line with the intentions of this site, so I registered it and here we are. Diablo3.com will still be active for a few more months so everybody can have a chance to get used to the new Diablofans.com domain. After that, it will simply point to the Blizzard.com homepage… at least until they’re ready to use it for something more worthwhile. One of the nice things about the new diablofans.com domain is that it’s all-encompassing. Instead of the site just being for people waiting on Diablo 3, it can serve as the main hub for *all* current and future Diablo games. Isn’t it nice to know you’ll always have a place online you can call home? Hey, even Diablo’s demon minions need a place to hang their hats too. Alright, that’s all the news for now. I’m sure all of this news is gonna get the Diablo 3 rumor mill running like a mad banshee… so have fun discussing the announcement with your fellow Diablo fans! update: Some gaming news sites are reporting that Blizzard “purchased” the diablo3.com domain from me. This is not the case. As I stated in the above post, if it was my intention to make a profit off of the domain, I could’ve sold it years ago, but I didn’t. When Blizzard spoke to me about their interest in the domain, I was happy to give it to them since they had no problems with us moving the site to diablofans.com and will now be working more closely with us in the future. So yeah, I just wanted to clear that up… there is no monetary exchange taking place, I’m simply giving Blizzard the diablo3 domain. You got me, you really did. I’m curious about Radical Dude/Talib Panzo too. Why would you edit such an amazing line. Anyway, why would Blizzard bother acquiring a domain for something like Diablo 3 if there isnt immediate plans to do something? Furthermore, why buy a fansite? Do they just want to silence it or something? Are they lazy and figure someone else did all the work for the site already? I am not a fan of Diablo or Blizzard (that meaning that I haven’t ever played any of their games, not that I hate either of the two), but what don’t they just give the people what they want? Sorta like Square should with a Final Fantasy 7 remake. In regards to Talib Panzo, I think you meant to say “Why” instead of what concerning Blizzard giving people what they want. I do agree though that these companies need to think more about fans and what they want. Dude. You got a shout out on problematic outfit. In Regards to Lizbot, I don’t know what your words mean. Yo, shout out to Mos Mike for keepin it on lock down. Also, Has Anyone out there in Video Game Land Played Persona 3:Fes Yet. I wanna know what the new story is like. I think no one has played it, at all. I’m not ready to play it all over again, yet. Maybe Christmas time again. Previous Previous post: Earthbound Bound For Virtual Console?